Zachary's hair stylist had been telling us to use conditioner for him for his standing hair and finally i started him on Elemente baby conditioner which is formulated in Japan by the Science of Nutritional Immunology beginning of 2014. 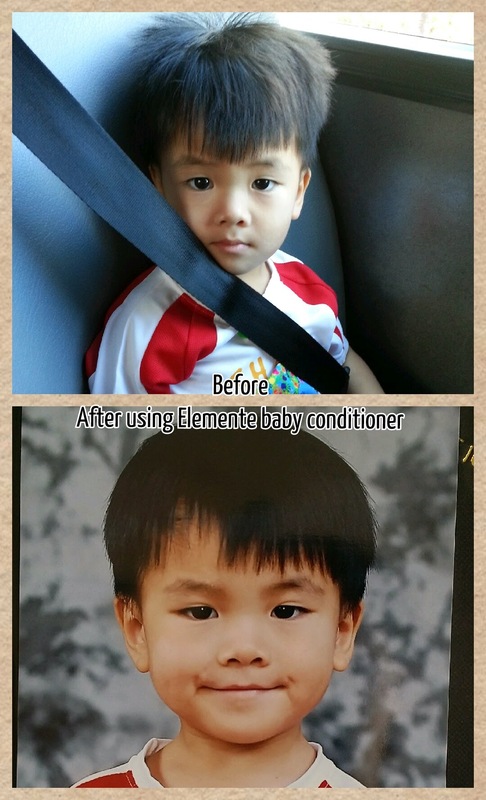 After Zachary started using Elemente baby conditioner, his hair looks so much nicer. Video - Zachary enjoying his oseed. Video - Alyssa enjoying her oseed.